There are few foods more delicious than smoked meat. 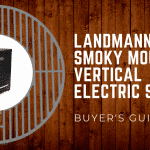 Rather than heading out to your nearest restaurant, you can easily smoke foods at home with an electric smoker. It not only saves you money, but you can also cook your food exactly the way you want it. 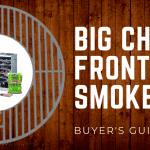 To add to the benefit of smoking your meat at home, you can even buy a product that also can grill your food. This way, you are not only meeting your needs, but also that of others. 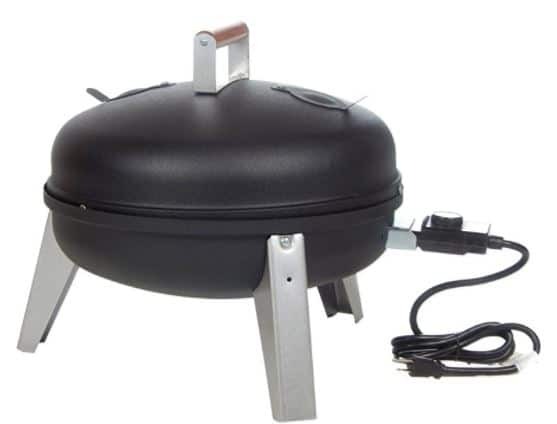 One such product that has recently gained popularity is the Meco 5030 Electric Grill and Combination Water Smoker. 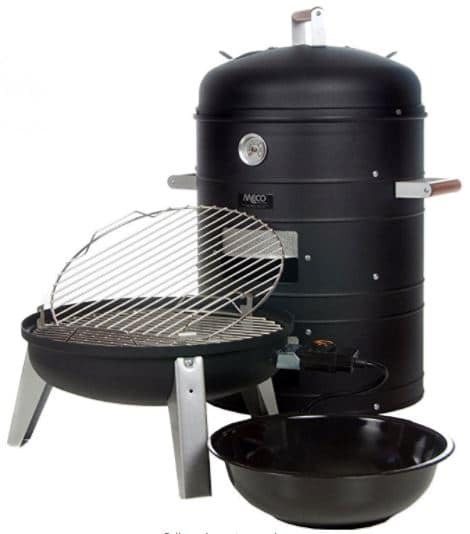 With all of the features of this smoker, smoking really is made easy and carefree. You'll be able to spend time with your buddies and your family without worrying about micromanaging the cooking process, and honestly, what could be better? This is by far one of the top electric smokers currently for sale on the market. 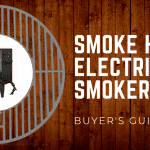 While this electric smoker is perfect for those that are experienced, it is especially beneficial for beginners too. Rather than incorporating only the use of wood chips to smoke meat, the entire process can be done using both methods. A water smoker is different from its counterpart in that it keeps temperature more even and constant, the water pan can be filled with liquids that enhance the flavor of the meat, more moisture is produced, and it is much simpler to use and clean. In addition to the benefits that the water adds, the wood chips will also work to produce a certain flavor and even meat that has a crust that many individuals love about smoked meat. This product has three total heat settings which are low, medium, and high. This makes the smoking process extremely controllable. The cooking racks are adjustable, so you can even control that aspect of the cooking process. 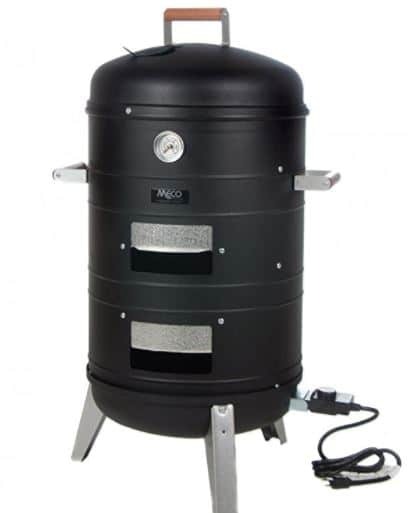 With 351 inches of total cooking surface, the smoker is able to cook up to 50 pounds of meat at once, which is prefect for individuals looking to cook in bulk for large events, parties, or to simply cook and save for later. As for the water component of the smoker, the porcelain container fills up to five hours of water, so it is essentially a hands​​-free process once you have everything ready to go. In addition, you do not need to micromanage your meat with this product. There is a 1500 watt heating element that cooks your food evenly, and the sliding doors provide you with easy access should you need to check the progress. Lastly, one of the best features about this product is that it is very versatile. 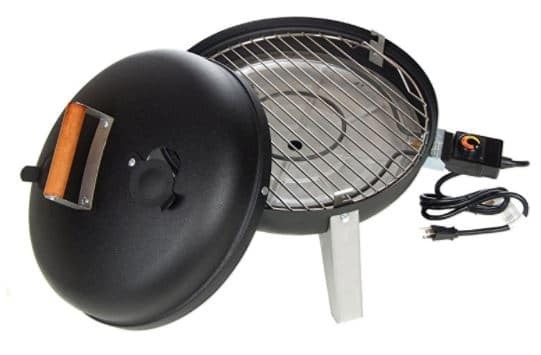 With this baby, you don't need a separate appliance to grill your food, as this smoker quickly can be converted. The smoker converts quickly into a lock-and go portable appliance. Therefore, this product got even sweeter, as you can take it with you on camping trips, events, and so forth. 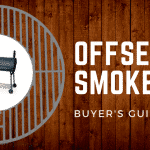 Both the smoker and grill are very easy to clean, as there is minimal mess and the racks can be removed to be cleaned with a simple mixture of soap and water. There's nothing better than being able to cook your food in a durable product, and have essentially no mess afterwards. There is nothing like buying a product that is worth every penny. 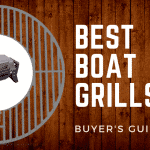 This combination water smoker and electric grill is definitely worth the low price. It is perfect for experienced smokers or beginners. The entire process is very hands-free, as you can focus on your guests or creating other dishes as the smoker smokes your meat. In addition, for those that are concerned about the heating, this smoker ensures that the heat levels remain constant, making it less imperative for you to regularly monitor the meat. In addition to the ease of use and quality components, this product also lasts a long time. Most individuals that have bought it have not had any issues. Finally, after you purchase the product, you can also be sure that it is very easy to assemble. The max assembly time is an hour, but most individuals are able to do so in a mere 45 minutes. This way, you can get down to smoking a delicious meal for your friends and family as quickly and efficiently as possible. Overall, this product is highly recommended for those that are looking for a fairly priced product that excels in quality.